It's been sometime since I've had a Long Distance Calling album cross my desk, nearly five years. 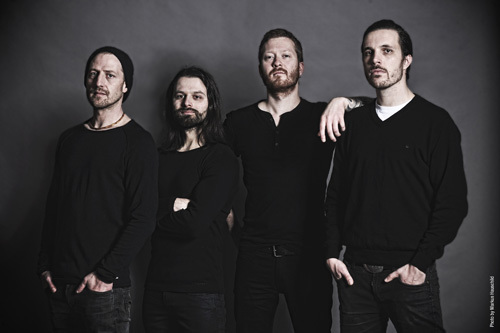 The German band returns with their fifth album, Trips, and another new vocalist in Norwegian Petter Carlsen (Pil & Bue). Keyboards, piano and electronic sounds are performed by Marsen Fischer. Yet, as usual, Long Distance Calling's music essentially revolves around instrumental collaboration. In some sense, Trips is familiar territory for listeners. LDC continues to juxtapose atmospheric and etheral soundscapes with brisk and often bracing riffage, with light and lilting vocals floating over them, as least when they see fit to add them. Mostly, Long Distance Calling reminds me of progressive rock past and present. You might hear echoes of Pink Floyd or Kraftwerk, Anathama, Tool, and Muse in their sound. At one time they kind sound like pop infused trance music with an Eighties vibe as with Getaway. 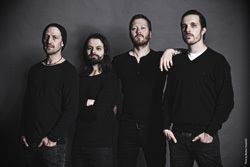 Then they can bring some of those crushing riffs in guitar-forward arrangements, feeling both heavy and brisk, even anxious as with Reconnect and Trauma. Yet the latter has one of LDC's characteristic wandering melancholy breakdowns in the middle. And even more rapid fire presence and pace come within Lines, with lighter moments given for the vocals. While it seems most everything is guitar and riff driven, a song such as Momentum is carried by the rippling groove of the drums. Everything else, including the guitars, seems to ride upon the crest of each wave, foaming and churning as the drums cascade along. It's just an example of whole good LDC is at making even instrumental prog rock accessible. Mention should be made of the closing number Flux. It also features much of the LDC signature sound, yet there's something more subdued and gentle about the guitar work in the first half, before it yields to something akin jazz rock fusion guitar. It was a subtle thing to my ears. You might describe it differently. Suffice to say, it's another representation of LDC's sublime and deft song composition. The only bump here is the song Rewind, which basically sounded like, well, nothing. Nothing with vocals that is. Nevertheless, the conclusion to all this is simple. With Trips, Long Distance Calling has delivered another enjoyable album of (mostly) instrumental melodic progressive rock, perhaps even more accessible than past works. Recommended. 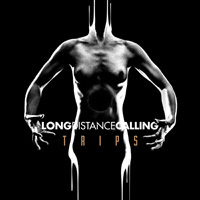 With Trips, Long Distance Calling has delivered another enjoyable album of (mostly) instrumental melodic progressive rock, perhaps even more accessible than past works. Recommended.